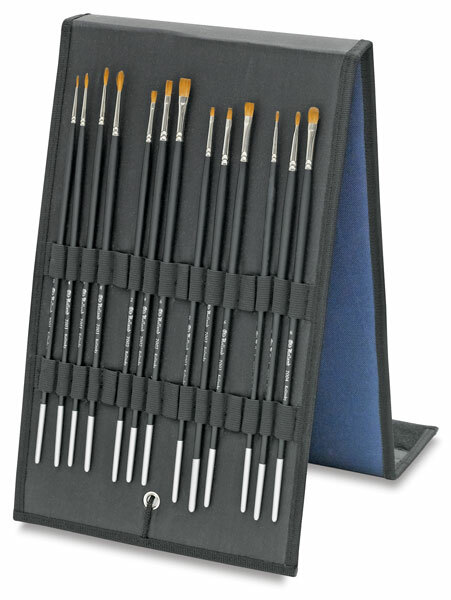 This set of Old Holland oil brushes, handcrafted of the finest quality Russian Kolinsky sable, is housed in a navy blue brush easel with a hook and loop closure. The user will enjoy the firm feel of very full Kolinsky hair and superbly shaped heads that come to an excellent edge or point. 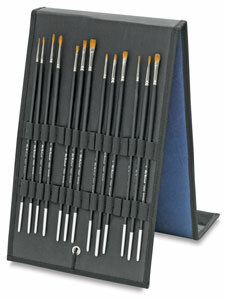 Seamless, polished nickel-plated ferrules are fitted onto finely balanced, silver-tipped matte black hardwood handles.